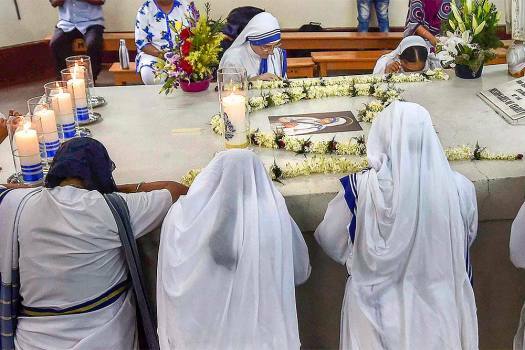 Nuns offer prayers to commemorate the 21st death anniversary of Nobel laureate Mother Teresa at Missionaries of Charity, in Kolkata. 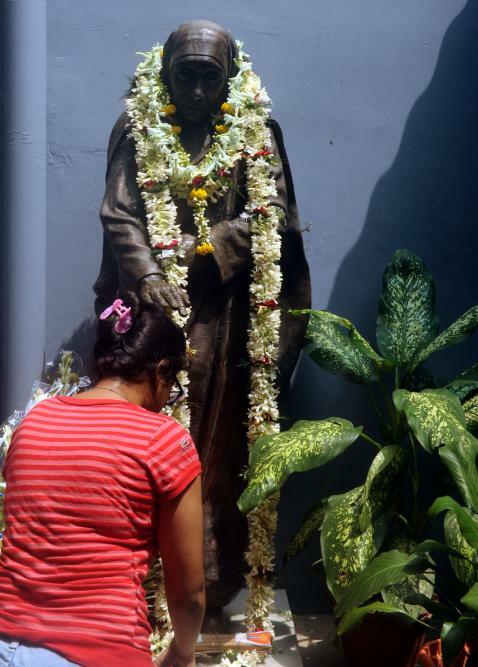 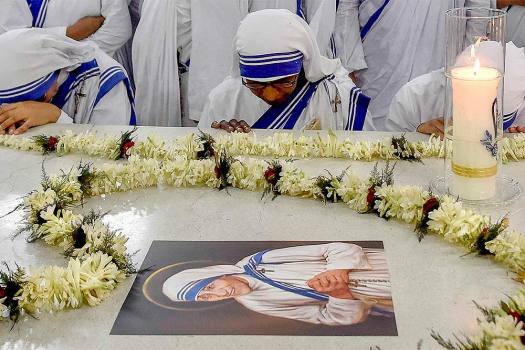 Nuns pay tribute to Saint Teresa of Calcutta on her death anniversary at Mother House, global headquarters of the Missionaries of Charity in Kolkata. 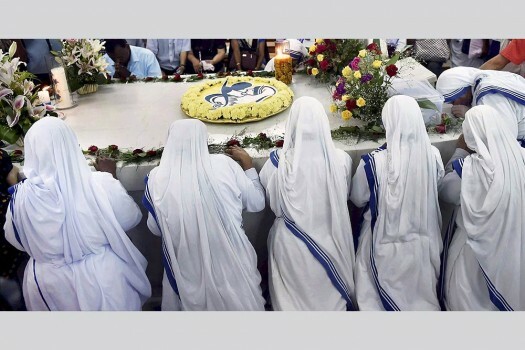 Nuns of the Missionaries of Charity pray during the death anniversary of Saint Teresa at Mother House, in Kolkata. 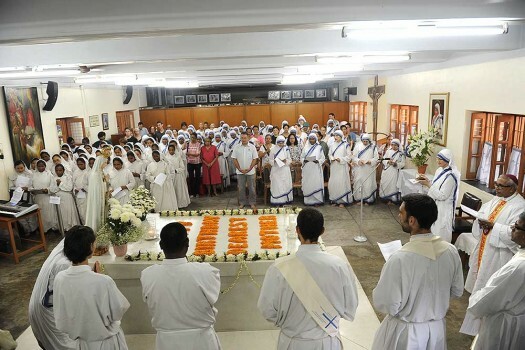 Nuns and visitors take part in a mass prayer during celebration of her 107th birth anniversary at the Mother House, in Calcutta. 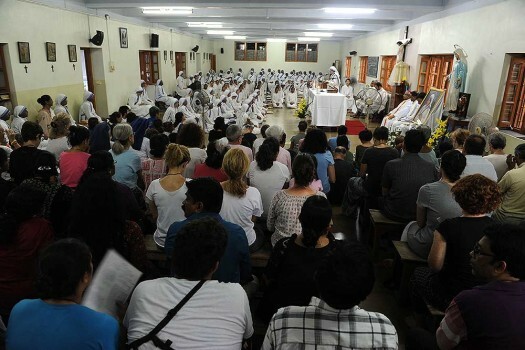 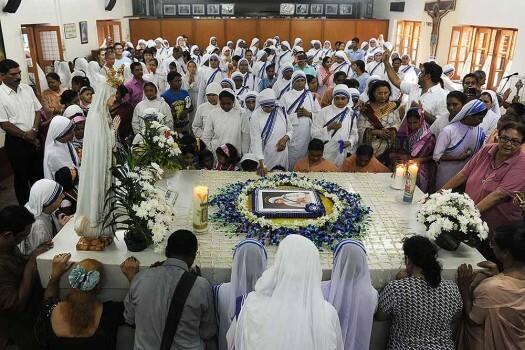 Nuns and visitors take part in a mass prayer during a service celebrating Mother Teresa's 107th birth anniversary at the Mother House, in Calcutta. 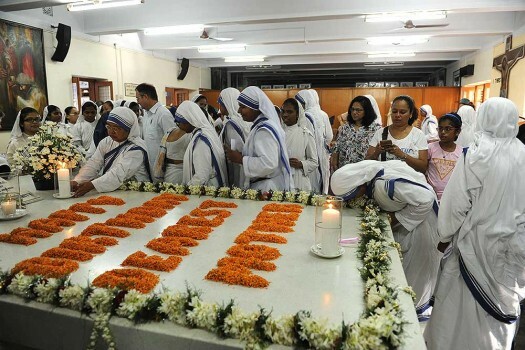 Nuns of the Missionaries of Charity paying their respect at Mother Teresa's tomb during celebration of her 107th birth anniversary at the Mother House, in Calcutta. 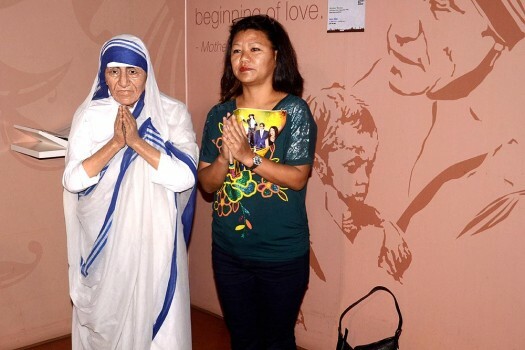 Woman poses with wax statue of Mother Teresa during her vist to ''Mother Teressa Wax Museum'' at Rajarhat-Newtown city near Kolkata. 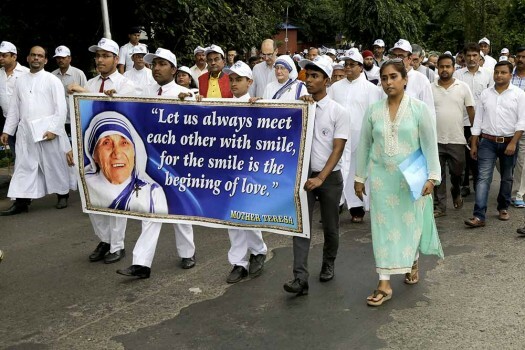 Sisters of the Missionaries of Charity join a 'Mother Walk' in commemoration with her beatification in Kolkata. 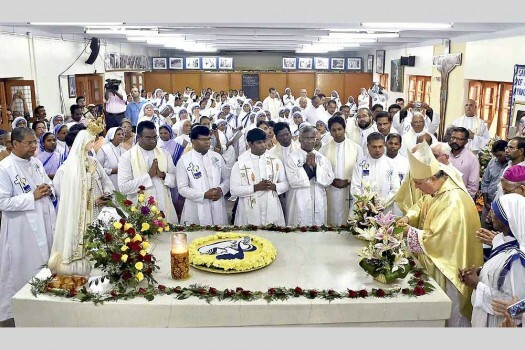 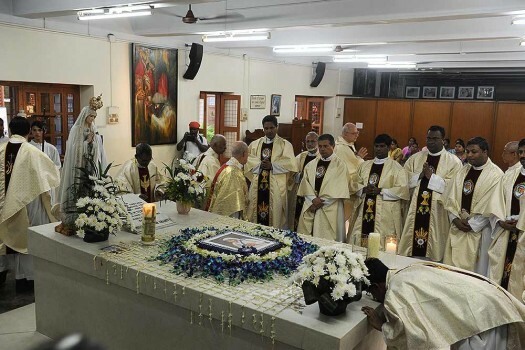 Sister Mary Prema, center, Superior General of Missionaries of Charity with representatives of all faith join a 'Mother Walk' in commemoration with her beatification, in Kolkata. 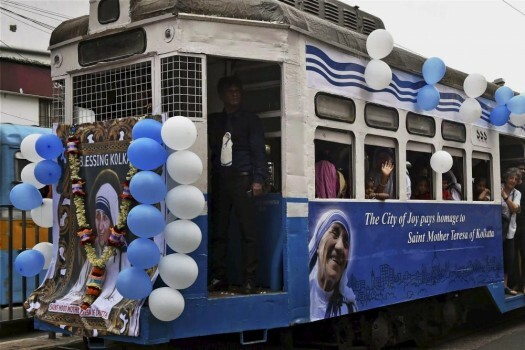 A train decorated by the photographs of Saint Mother Teresa, in Kolkata. 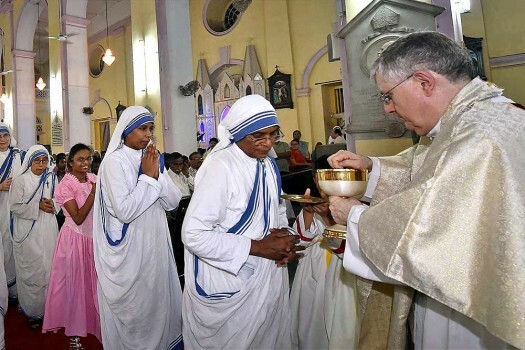 Priest lights a candle at Mother Teresa's tomb on her 19th death anniversary at Mother House, Missionaries of Charity, in Kolkata. 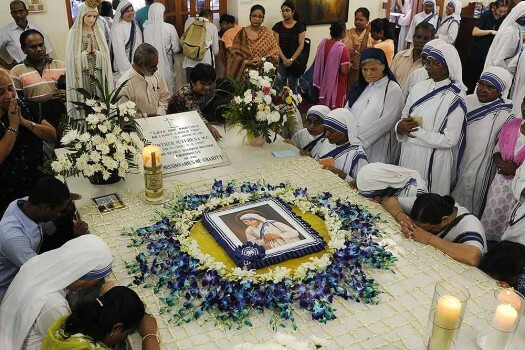 Nuns pray at Mother Teresa's tomb on her 19th death anniversary, at Mother House, Missionaries of Charity in Kolkata. 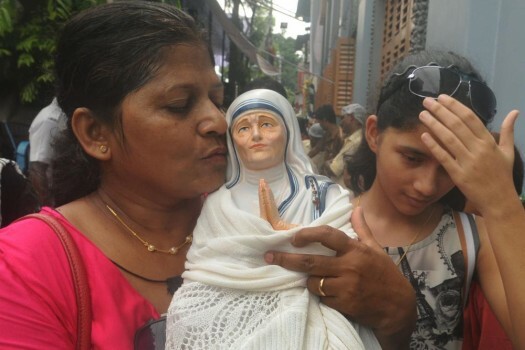 A woman carries a statue of Mother Teresa out the Mother House in Kolkata. 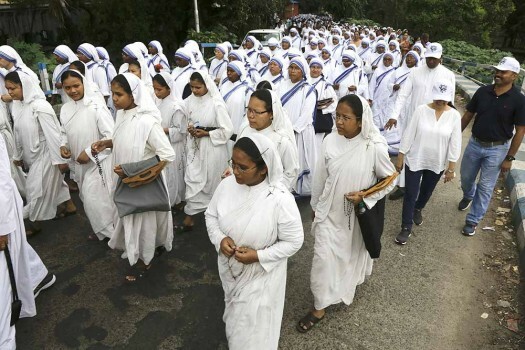 Baidyanath, the activist who is responsible for an FIR against three centres of the Missionaries of Charity in Ranchi where children were found to be bought and sold, says he smelt a rat four years ago. 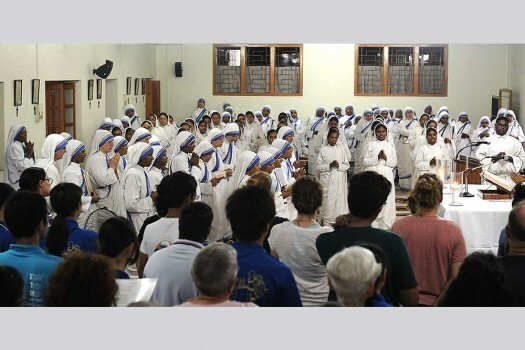 A halo? 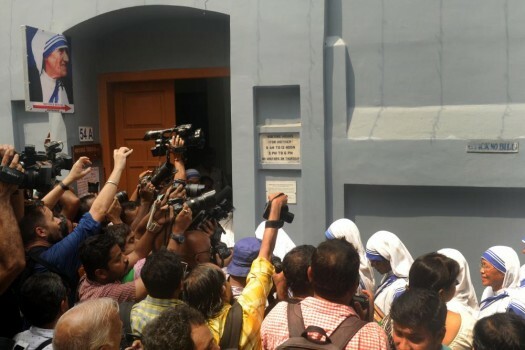 An indistinct nebula? 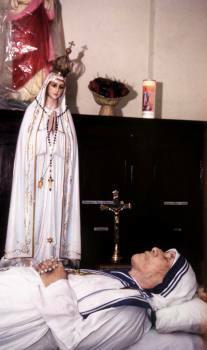 Those who beheld her say they were cured of doubt.